Commercial real estate investing is one of the best investment opportunities that one can get involved in. In addition to being generally safer and more hassle free than private/residential real estate there are numerous tax benefits when working with commercial properties. Seeing a return in your principal is always a positive but with the right tax tools at your disposal you can see a tax-free return on your investment. This blog will go over the various tools available and ways for you to get a tax-free return of principal for your investment along with helping you identify the type of industry professionals needed to help you navigate all of your options. Working with a limited liability company will automatically help you with preventative tax measures. As the name implies limited liability means that investors are only liable for company profits and finances. Your own assets can’t be taxed or factored into any legal matters; LLC’s also help, as you typically will only have to pay taxes on any profit once as opposed to multiple fees or tax payments with residential properties or if you were working on your own without an LLC. One benefit to commercial real estate investing is that you can trade investment properties without paying any taxes. Using the proceeds from your property you can buy more real estate and structure the transaction as tax-deferred. This is thanks to Section 1031 of the Tax Code. This isn’t limited to a one-time exchange either; you can do subsequent 1031 exchanges and indefinitely defer any tax liabilities. The IRS offers an energy certification process resulting in the 179D deduction. This deduction can be obtained by installing energy efficient lighting systems and HVAC systems. Not only will it reduce the operating expenses of your company but it will also lead to substantial tax deductions and can help you earn more principal back on your investment. When investing in commercial real estate you can take advantage of numerous US Tax code benefits. There are multiple ways to protect your income including mortgage interest and depreciation deductions. Working with a tax advisor will help you find all of the possible deductions and benefits that you can use to minimize fees and help you see a higher annual return on your investment. More than residential real estate commercial properties will appreciate at a higher rate over time. 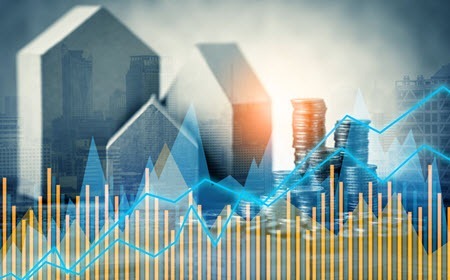 Whether it’s due to property value rising, neighborhood value raising the value of the surrounding areas or the businesses themselves becoming more successful investors often see a higher rate of return on commercial investments. As the rate of return rises above the amount of the initial investment you are eligible for various tax credits and breaks. Return of capital is not considered a taxable event, as it is a payment received from your original investment. At Landwin our team of experts preserves your investment and helps you see as high a tax-free return as possible. When you invest with us in any of our commercial real estate opportunities you will have all of the protections of our limited liability services. By taking care of the hassles and legal aspects of your investment you will be able to enjoy appreciation of your initial investment while protecting your personal assets. For more than 30 years Landwin LLC has provided our investors with safe and reliable investment opportunities. We are backed by over 50 years of industry experience and offer a variety of options including limited liability companies (LLC), separately managed accounts *SMAs) and joint venture partnerships (JVs). We will always work closely with you to find the option that best suits your needs while protecting and growing your investment. If you are interested in commercial real estate investment opportunities and would like to speak with a member of our experienced staff please call Landwin today at 818-783-4343. We are here to help you get acquainted with commercial real estate opportunities no matter your budget or experience level.